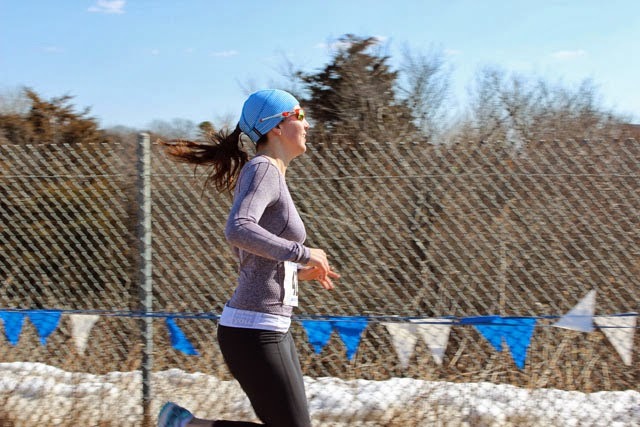 We are just weeks away from the 2014 Boston Marathon® and the runners on the New England Aquarium marathon team are in the home stretch for their distance training—and their fundraising. 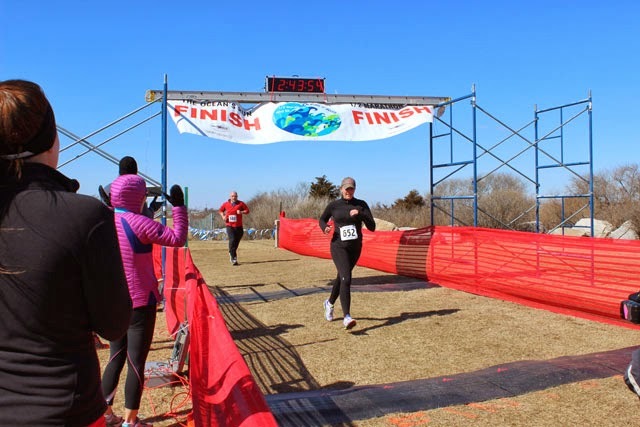 These 25 runners from around the world are raising money in support of the Aquarium's ocean education outreach programs at schools and community centers. These programs offer kids in the Boston area a chance to experience (and hopefully fall in love with) the oceans. ocean outreach event at the Boston Public Library hub at Copley. But there are always miles to run. Just last weekend, the team ran their longest run of the training regimen: 21 miles along the course starting in Hopkinton. 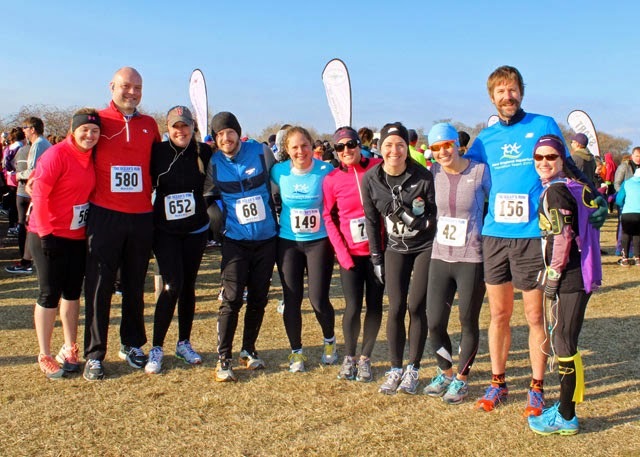 In early March, 10 teammates headed south to experience the thrill of competition during the Ocean's Run half marathon in Kingston, Rhode Island. For this bunch, it was just a training run. Some of the teammates at the start of the Ocean's Run Half Marathon in Rhode Island—just a training run for this crew! 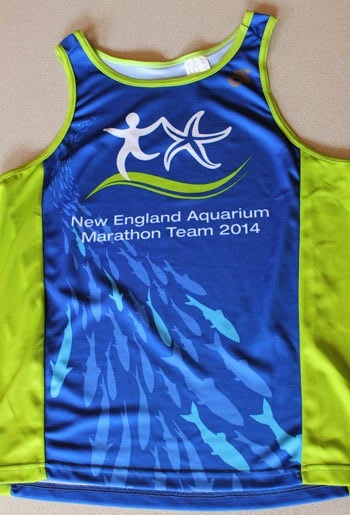 Note the blue New England Aquarium marathon team shirts from last year on Lee (center) and Chris (right). It was an especially appropriate race for our team as the course hugged the coast for several miles—and beautiful coastline it was! The team cheers as Sara-Anne and then Alex cross the finish line of their first half marathon. The team also hosted a fundraising event at the Aquarium on March 22, and from the sound of it a good time was had by all. Each runner encouraged their family and friends (and friends of friends and roommates and cousins and...) to buy tickets to this special evening. Besides snacks, cocktails and dancing, guests got to mingle with the very animals we're teaching kids about. Word is that it was a really fun party, but folks couldn't take their eyes off the animals and exhibits! The runners are now starting to taper down and rest up for the big day on April 21. But fundraising won't let up until race day! 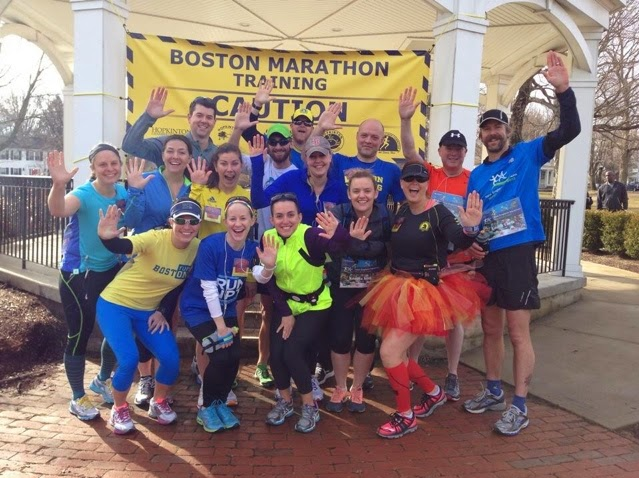 For those of you who support ocean education programming and support Boston Marathon runners, there's still time to support the dedicated members of our team. And on race day, look for the brilliant blue shirts and the gritty looks of determination on our runners' faces. Give them a little encouragement. 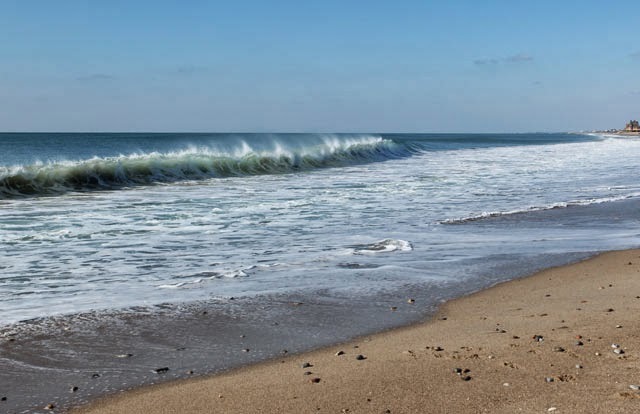 Not only are they pounding their way along one of the world's most famous marathon courses—they're helping to create future ocean protectors! 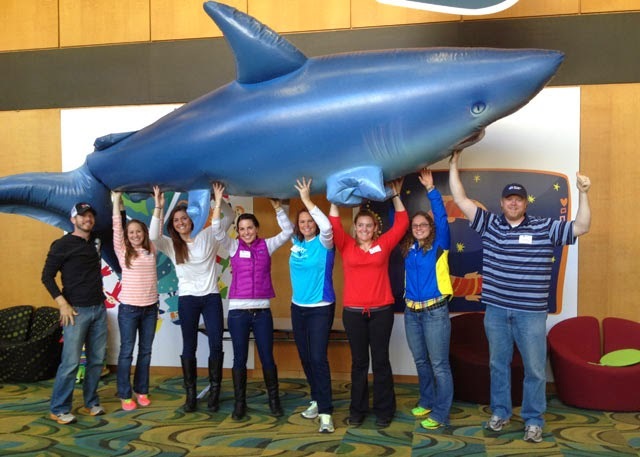 Click here to meet the members of the New England Aquarium Marathon Team and support ocean education for local school children.